23 Industry and utility experts consistently pointed to “integration” as a critical part of reaching the higher levels of renewable energy portrayed in Chapter 1.a Experts stressed the need to think beyond renewable energy technologies themselves. 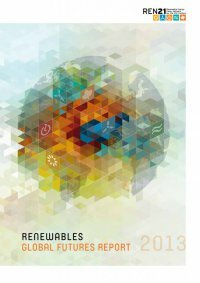 Rather, the thinking about future energy systems needs to focus on how renewable technologies will be integrated into existing infrastructure: utility power grids, buildings, industry, and transport.1 Experts stressed that integration may often require new policies and planning approaches, as well as new power market rules (see also Chapter 5). And they pointed to many local government actions and roles for integration at local levels, such as building codes and urban planning for renewables and electric vehicles (see also Chapter 4). They also pointed to integration of renewable energy into new energy-service business models and investment mechanisms (see Chapter 3). This chapter looks at future integration in four basic categories: utility power grids, buildings, industry, and transport.2 Utility Power Grids Electricity generation from some renewable technologies has a well-known variable nature. This is particularly true for wind power and solar photovoltaics (PV), and to a lesser extent for solar thermal power (CSP).b As these sources are integrated into existing power grids in large quantities, this variable nature becomes one of the main technical challenges. As the share of renewables on power grids increases, electric utilities must respond to the challenge of balancing large shares of variable renewables, in order to maintain grid balance and stability according to technical and regulatory tolerances.3, c Utility experts pointed out that managing variability is nothing new: utilities have contended with variability since the dawn of central- ized power networks, although mostly in terms of demand variabil- ity rather than supply variability. Experts also noted that utilities in many jurisdictions are already managing variability for large shares of renewables, for example in California (USA), Denmark, Germany, Ireland, South Australia, and Spain.4 Many other jurisdictions are facing imminent scale-up of this inte- gration challenge. Said one European expert: “European utilities in particular are facing trouble right now because they have to invest in the grids themselves and put increased attention on grid balanc- ing, both at centralized and distributed levels, in order to accommo- date renewable energy policy goals and targets to be fulfilled in the next 5–10 years. And this integration is not just about hardware, but also about how power markets function.”5 Published sources and interviews show that more than a dozen different options are available to utilities to balance variable renewables. These options encompass technical, planning, and market-regulatory changes. Utility experts pointed out that some of these options are already widely used even without the presence of renewables. Experts also emphasized that each grid is unique, and solutions will be diverse.6 Sources point to a range of planning and market-regulatory changes that will be important in the future, such as: (1) new power market designs that support greater flexibility; (2) expanded diversity of resources within geographic grid “balancing areas”; (3) coordination or merging of balancing areas under central balancing authorities (grid operators); (4) faster balancing response times through market and operational mechanisms; and (5) new types of system opti- mizations. One operational change that some utilities are already implementing is to use power dispatch models that incorporate day-ahead weather forecasts for wind speeds and solar insolation.7 In conjunction with these options, utility experts pointed to six key technical-operational measures: controlled curtailment, demand- response, gas turbines, energy storage, strengthened transmission capacity and interconnection, and ramping and cycling of conven- tional power plants. These are described below.8 n Controlled curtailment of renewables. “Curtailment” is the prevailing strategy today by many utilities to deal with surplus amounts of wind power during periods of insufficient demand or un-curtailable generation from conventional power plants. Spain is perhaps the most advanced in this measure, the result of a dedicated renewable energy power control center (CECRE) that it established in 2006. The power center allows the grid operator Red Eléctrica to monitor and control, in real time, renewable power generation around the country. “Necessity was the mother of invention,” said one Spanish expert in explaining the basis for the center. In 2012, Spain averaged about 18% of its power generation from wind, with much higher peaks during some time periods, including an historic peak of 61% of total national power output on the morning of April 19, 2012.9 n Demand response. “Demand response” is a phrase that covers a wide range of actions by utilities and their customers to reduce power demand at specific times. It includes contracted load cur- tailment that is controllable by the utility within pre-established parameters, and can also include time-of-use-based market prices to influence consumption decisions. Utility experts emphasized many possible forms of demand response in the future, particularly in industry. For example, demand-response in the chemical and metals industries could be integrated with process engineering, based on allowable ranges of process temperatures. Other exam- ples are water pumping, air conditioning, and freezing, all of which can offer options for shifting demand when integrated with storage ranges and limits (i.e., water or thermal).10 Demand response can contribute to peak shaving, contingency reserves, and regulatory reserves. Indeed, the grid operator for most of the U.S. state of Texas, ERCOT, now supplies 50% of its regula- tory reserves through demand response. Many experts considered demand-response to be one of the primary and most cost-effective mechanisms in the future to manage variability, beyond others dis- cussed in this section, and some scenarios likewise model demand- response as the primary response to variability.11 02 a) Some experts disliked the “integration” concept, and instead preferred to think of coming “transformations” of both local and national energy systems. See also the report's Conclusion. b) The variability of CSP plants depends partly on the degree of embedded thermal storage. Some forms of ocean energy are also variable. c) The term “electric utility” is used generically in this report to denote a variety of companies in the power sector. In many countries, power grid functions have been “unbundled” into various classes of power generators, distribution utilities, and transmission system (grid) operators.